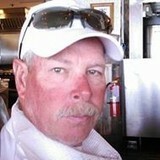 Mike has been in the concrete business for over 40 years. He is particular about the quality of the materials used and the quality of the finished product. Mike has pride in the work he provides and the finished product. He prefers to use the 'tried and true' basics, not the 'get it done fast and get outta here' mind-set. 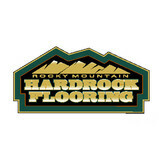 Rocky Mountain Hard Rock Flooring is MONTANA'S #1 EPOXY STONE COMPANY, CERTIFIED INSTALLERS of the Aurora Epoxy Dust System. We offer decorative concrete applications for existing concrete surfaces such as acid staining, overlays, concrete polishing, epoxy coatings for interior and exterior. Our products are specifically designed to protect and repair your concrete while providing a beautiful finished look. Our Hard Rock Flooring has been tested and proven to withstand even subzero temperatures. We stand behind our work with a satisfaction guarantee and we are always available to discuss different design options. We off the finest and widest selection of decorative concrete and epoxy flooring options. We have the largest selection of Rock, Gems, Granites and Marbles to custom fit your desires. With unlimited design and color options the only limit is your imagination!. Our knowledge and workmanship of HARD ROCK FLOORING is coming to you. 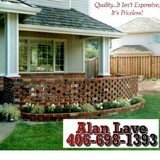 Let me help you create custom brick or stone projects to enhance the beauty of your home~ estimates are free! Alex Building and Construction, Inc.
J&J Concrete, Inc, has a proud legacy of delivering services and products of the highest quality, and building lasting relationships with our clientele. For over 27 years, owners Rick Gutierrez and Joseph Roll have been the choice for quality construction services for a wide variety of contractors, businesses, government agencies, and homeowners in Montana. Our core expertise is in concrete and general construction. 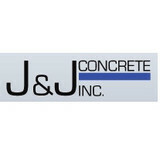 From highway construction to residential patios and nearly everything in between, J&J Concrete Inc, provides superior service on all projects in a safe, timely and efficient manner. 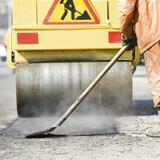 We specialize in the removal and replacement of exterior concrete. We spin screed * our concrete creating the best finish in the business. Very few contractors use our process. It guarantees the finest surface in the business. Quick and no fuss approach to your needs.If If we can't do something we will help you find the right people. 5 Star Concrete Inc. was established by Robert Ramirez and his 3 sons: Monico Ramirez, Phillip Talamantes, and Michael Ramirez, with the combined experience of 30 yrs. 5 Star specalizes in all flatwork and commercial projects. All Flatwork driveways, patios, sidewalks, steps, monolithic slabs, colored and stamped concrete, city work, and commercial projects. J & J Construction is your trusted source for the highest quality roofing, contracting, steel buildings, pole barns, and more! For the most part, people hire a stone or concrete contractor for large installations like driveways and walkways, or for home facades and exterior columns. These brick, pavers or stonework installations can add lots of functionality and visual curb appeal to your Montana home. Pavers come in a wide variety of colors, shapes and sizes, and the right vendor or specialist can help you choose a color and design that complements your existing landscaping. From installing new exterior columns to repairing your chimney, masonry contractors can help you add both visual appeal and value to your property. They’ll know what kind of installation makes the most sense for your Molt, MT climate and regional style. Looking for something that will develop a patina with time? Or would you rather have your home feel brand new for years to come? Choosing the right kind of stone involves thinking about the future, too. Experienced brick suppliers and stone suppliers can help you find the material that will work for your home now and for years to come. These professionals aren’t limited to exterior work either. Whether you want a split-stone granite wall in the kitchen or need help installing traditional brick masonry on your fireplace facade, you’ll want a professional to get it right. If you’re already working with an architect or designer, he or she may be able to suggest a good Molt, MT subcontractor to help out. Here are some related professionals and vendors to complement the work of stone, pavers & concrete: Landscape Architects & Landscape Designers, Architects & Building Designers, Garden & Landscape Supplies, Driveways & Paving, Siding & Exteriors. Find stone, paver and concrete professionals on Houzz. Search the Houzz Professionals section for Molt, MT stone, paver and concrete professionals. Browse photos and read reviews, and contact a pro if you like their work.